Sideways in Time: The New Doctor is Here! Well, three weeks after Peter Capaldi began filming his first series as the Doctor, the BBC have finally revealed the Doctor's new look. I'm no expert on fahion so I don't have much to say other than I like it a great deal. 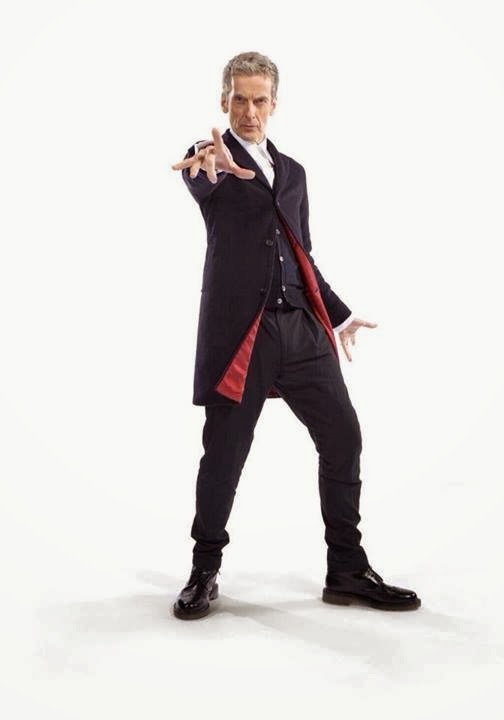 Despite what some have said, I think it looks suitably distinctive from Matt Smith's costume whilst at the same time it doesn't try to be too different. 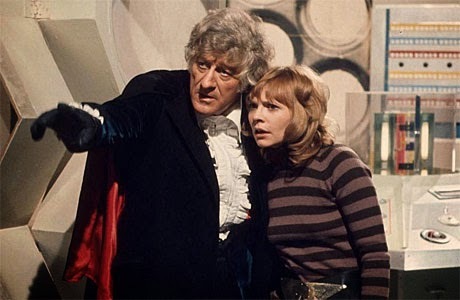 It also has some very Jon Pertwee influences which is no bad thing. I'm certainly looking forward to seeing it 'in action', so to speak. But, now that we've had the costume reveal, what's everyone going to talk about for the next seven or eight months until the new series starts?